> Insights > Inflexible Development Process? Intense competition requires that you can turn on a dime. Changing directions rapidly is only possible if you can shorten your development lifecycle to between 2 and 6 weeks. Build up only as much agility as you need to compete in your industry. Your development processes will dictate your "turning radius" and how long it takes you to change direction. Do you have the turning radius of the Titanic or a Mini Cooper? 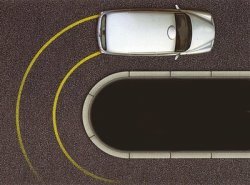 Changing direction faster than your turning radius you will create chaos and lead to slow and defective product releases.